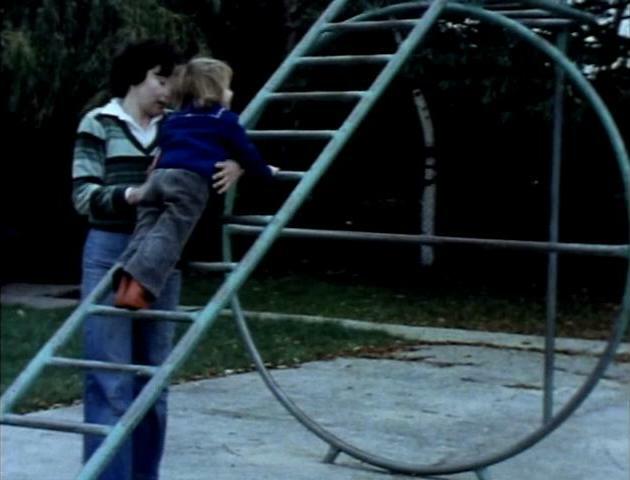 Riddles of the Sphinx (1977) – Laura Mulvey and Peter Wollen (BFI). Classical traditions and feminist ideologies collide and intertwine in Laura Mulvey and Peter Wollen’s Riddles of the Sphinx (1977). It’s instantly clear from its opening “contents” page that the film isn’t simply going to be a piece of narrative cinema, nor is it going to be purely avant-garde. With the increasing use of the term Essay Film within the analysis of cinema, Mulvey’s film is one of the few that actively fits the description; a term that often is used to categorise the largely obscure. Whereas essay films by the likes of Chris Marker tend to be fluid and resemble streams of consciousness, Mulvey and Wollen’s genuinely resembles that of an essay. It has strict, defined sections of argument and example, a spoken introduction and conclusion by Mulvey and a portion on screen text referring backwards and forwards to ideas. This particular essay is not, however, as linear as it may sound. The title itself gives away its somewhat puzzle-like structure with the film presenting the issues that concern it as a riddle. Perhaps for its time a direct approach to these issues at hand would have been unaccepted but, in hindsight, it seems somewhat self-depreciating to hide such an important argument underneath layers of Chinese-box puzzles and structure though it only slows down rather than removes the important content. 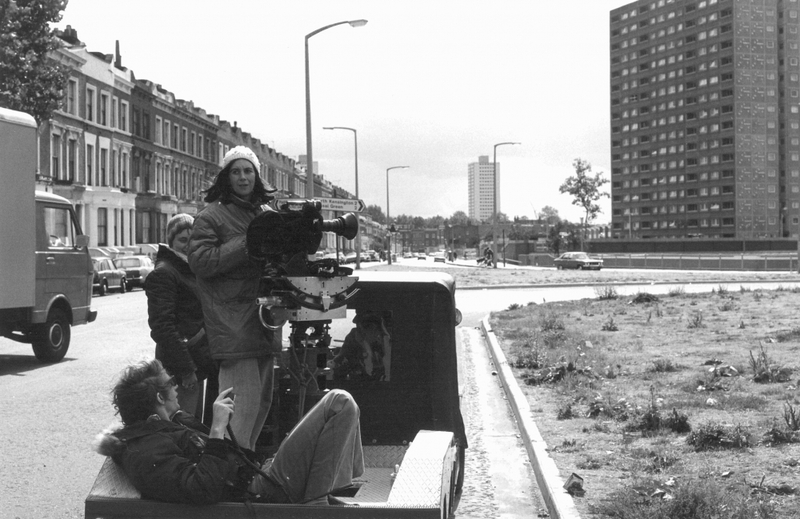 The main chapter of the film consists of a story showcasing an example of the everyday inequalities that women suffer. This section is where the film is at its strongest, not just in terms of its ideology but also within its visual innovations. Comprising of several one-shot takes that track in a circular motion, Riddles follows Louise, a women left to look after her child and work as a telephone operator. Each section and scene documents her life, one location at a time, highlighting some of the problems faced by women with a brief but over-lapping text card explaining some of her emotional and inner thoughts. In terms of visual technique, the scenes are wonderful. They have a hypnotic quality while at the same acting like the theoretical fly on the wall; almost as if the camera has caught evidence of the argument and is enjoying documenting the world around it. The scenes also present the techniques of theoretical questioning of the roles of women, almost to the point where keeping track Louise’s life requires careful attention to the cryptic text cards and what happens in the scenes they bookmark. This technique smuggles in the argument with the film asking the viewing to stare out into darkness only to find the answer sitting right under their eyes as they adjust to the lack of light. The theoretical content itself is largely kept under the surface, bubbling away and affecting all that is going on visually while only taking centre stage during a handful of moments. Though its academic nature does seem to imply a distance between the working women the film focuses on and the academics who acknowledge and question the inequalities, the main focus still works and asks, sadly relevant, questions about the role of women in society, in the work place, and the home. The tying-in and contextualising of these issues within classical Greek texts does, however, muddy the argument (giving the film its title and initial premise of argument) but does allow for some Kenneth Anger style imagery to accompany the more surreal moments. The more general imagery from 1970s Britain is also a visual joy, with Riddles, by almost pure accident, acting as a visual and social document of the times. In the light of 2013, some of the footage of the household and the shopping centre seem almost more surreal than the footage of rope performers and sphinxes. There’s a distinct pleasure to be had on dropping into the oddly futuristic shopping centre where Sainsbury’s is known as J. Sainsbury and the architecture looks almost Orwellian. Add to these visuals, Mike Ratledge’s innovative score and the visual palette is complete. His synthesiser score, recalling his Soft Machine days (especially their album Third) adds an oddly alien quality to the garish colours of the home. While trying not to get too distracted by the aesthetics, Riddles of the Sphinx does boast a simple message of questioning for the everyday, albeit told in a complex manner. This newly mastered edition of the film released by the BFI is a treasure trove to the Mulvey fan. As well as containing this new edition, the release also contains Mulvey and Wollen’s Penthesilea: Queen of the Amazons (1978). This in itself could warrant a separate release and makes a greedily enjoyable double bill. Mulvey also contributes a knowledgeable commentary with Winfried Pauleit plus a separate interview with the director herself. Add to this a huge booklet of essays by the likes of Mulvey, Sophie Mayer and Rob Young and the release can be seen as essential to those who are interested in Mulvey’s huge contribution to cinema and film essays. 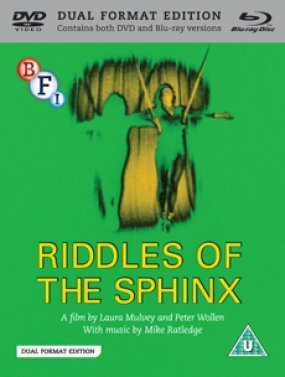 Riddles of the Sphinx is released by the BFI on the 23rd of September. The Wicker Man (1973) – Defining Of The Folk Horror. Music Video – Pip Mountjoy, Your Skeleton.